Nearly two centuries before the trouble at Pine Ridge, South Dakota began, the Sioux tribes left their historical homelands at the headwaters of the Mississippi River and moved westward to the great plains of Nebraska and the Dakotas. One reason for their departure was that their enemies, the Ojibwas, had obtained firearms from the French and thus made life uncomfortable for the Sioux. Another reason for the move to the great plains was the abundance of buffalo discovered there. In the early 1700s, the Sioux acquired the horse and this gave them great mobility, especially for hunting and war-making activities and their territory extended from Minnesota to the Rocky Mountains, and from the Yellowstone River to the Platte River. 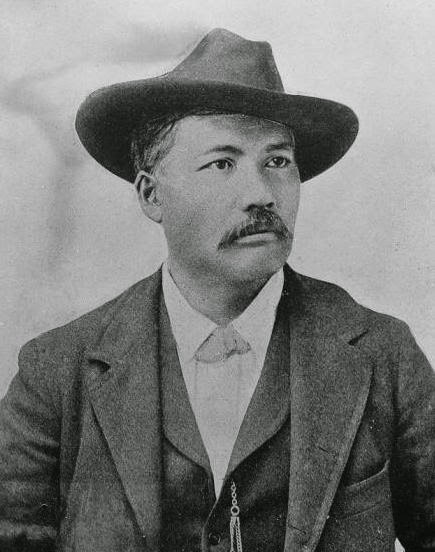 In December of 1890, approximately 350 to 375 Sioux men, women, and children under the leadership of Chief Big Foot journeyed from the Cheyenne River Indian Reservation to the Pine Ridge Indian Reservation at the invitation of Chief Red Cloud to help make peace between the non-Indians and Indians. The journey of Chief Big Foot and his band of Minneconjou Sioux occurred during the Ghost Dance Religion period when extreme hostility existed between Sioux Indians and non-Indians residing near the Sioux reservations, and the US Army assumed control of the Sioux reservations. At daybreak, a force of thirty-nine policemen and four volunteers (one of whom was Sitting Bull’s brother-in-law, ‘Gray Eagle’) was dispatched to the Standing Rock Reservation. On December 18, the Daily Alta California announced that local favorites from San Francisco and Oakland would be competing in the baseball game, which would be held December 20 at the Haight Street grounds, where the bleachers could seat 14,000 fans. Gen Brooks camp at Pine Ridge Agcy S.D.